Prospecting: Are You Asking for Referrals? The very best prospectors — and for that matter, the very best sales leaders over all — consistently and persistently ask for referrals. In my book, “High-Profit Prospecting,” I offer you some specific techniques and situations by which to ask for referrals. Yes, I know some salespeople are hesitant, but my experience has shown that most people want to help someone who has helped them. As you excel at providing value to your customers, you already have a foundation on which to ask for referrals. 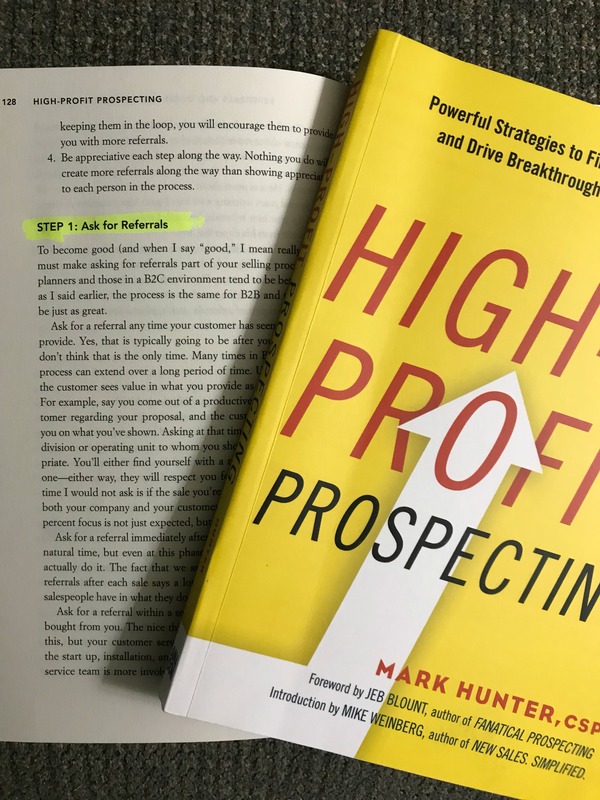 Grab a copy of my book, and you’ll be on your way to mastering the prospecting skills to strengthen your success and ability to serve more customers. PrevPreviousSales Motivation Video: What New Insights Will You Share Today?